The poisoner has to be someone at the class, and Charley is determined to find out who. 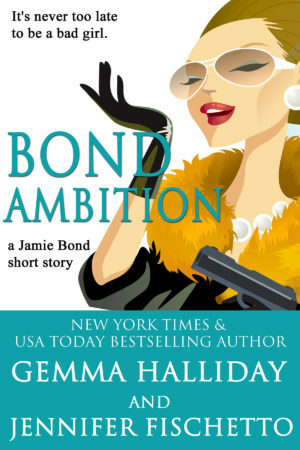 With the help of their private investigator friends at the Bond Agency, Charley and Elaine dig through an eclectic list of suspects, ticking them off one by one. But the closer they get to the truth, the more dangerous it becomes. And if they aren’t careful, this may be their last meal! I parked my car in front of the address I’d written on a neon pink sticky note and gasped. Elaine, my passenger and recent close friend, did the same. The house was two stories of wood, stucco, and ceiling-to-floor windows. The roof was flat, and there was a balcony off the second floor front room. The sun was in a position just left to it and cast a warm, amber glow that made the interior walls look like honey. I could make out a platform bed with a light comforter, possibly off-white. This place was more glamorous than I’d anticipated. “It’s beautiful,” Elaine whispered as we stepped from my car. I’d met Elaine through my daughter, Maya, and the private investigator who she worked for, Jamie Bond. Elaine was Jamie’s father’s girlfriend. At first glance no one would think we’d be friends. She was petite, curvier than I, and loved animal prints. She currently wore a leopard mini skirt and a black top with shoulder cutouts. I, on the other hand, preferred pearls and patent leather pumps, which went lovely with my short sleeve, yellow, silk blouse and cream-colored trousers. We stood in front of this mini-mansion because I loved learning. I’d taken several language and cooking classes lately. Sometime after my dear Robert passed away, my thirst for knowledge awoken, as did my appetite. I’d spent most of my life enjoying good American stand-by dishes. But suddenly I began craving spices and exotic ethnic foods. And while I still enjoyed a cheeseburger or pot roast, I preferred spicy enchiladas with fresh salsa and guacamole or Tikka Masala with warm Naan to soak up the creamy sauce. “Charley, are you sure this is the right address?” Elaine asked as I joined her on the sidewalk. In contrast to her small stature, she had an ample bosom that made me sometimes fear gravity would cause her to topple over and a throaty, smoker’s voice. I wasn’t sure if that was her natural sound or if years of smoking had altered it. Thankfully, for her lungs and our time together, she’d quit smoking a couple of weeks ago. She was doing great so far, except for the loud and frequent gum smacking. Even though I’d read that internationally acclaimed chef, Antonio Machado, was holding cooking classes in his Pasadena home, I’d expected to pull up to one of the small bungalows characteristic of the older neighborhood. Not this sleek, contemporary mini-mansion. I hadn’t realized just how well off his credentials had made him. I felt a flutter of excitement in my belly at learning from a man who was so obviously doing something very right. “He must be very famous to afford to live here,” Elaine said breathlessly. While Elaine wasn’t living on ramen noodles and hand-me-downs, her collar was proudly more blue than white. She worked as a receptionist for Channel Four, which paid the bills, but didn’t leave a whole lot left over. Admittedly, this was a bit out of both of our elements. My wonderful husband, Robert, left this earth six years ago, and while I still lived in the same home where we raised our precious daughter, Maya, I’d had to scale back on things since his passing. This class, however, was not one of them. And it was not cheap. Some things were meant to be splurged on. “Charley, how did you say you found this chef?” Elaine asked as we traveled up the front, slate walk that parted the lush, emerald green lawn. Her light brown hair was loose in waves just past her shoulders. When I first met her, she’d worn it in a feathered, 1970’s style, but recently she’d changed it for a more natural look. It suited her apple shaped face well. “The Foodies are Fun group, or the Food is Our Friends?” Elaine asked. Elaine nodded. She didn’t frequent the food sites and blogs, but she accompanied me tonight for two very important reasons. One was our newfound friendship. She and I had helped Maya, Jamie, and the other young women that made up the Bond Agency on their latest case which had taken us all to Las Vegas. Elaine and I had become honorable private investigators and had a blast helping to capture a criminal or two. Since then, Elaine and I had frequent lunches and a couple of girls’ nights involving umbrella drinks, music, and mild flirting with eligible bachelors. She was better at it than I was, but I was the single one. She called herself my wing chick. Not that I was looking for a man in my life. I’d had Robert. I wasn’t arrogant enough to believe that one received a second love as fabulous as my first. Elaine’s second reason for joining me tonight was her feelings for Derek—her on-again, off-again boyfriend. I wasn’t sure what their current status was, but it was obvious to me she was smitten with him. And cooking him a dinner that didn’t come out of a box or from a restaurant seemed very appealing to her. I pressed the bell and stared at my reflection in the glass insert in the wooden double doors. I ran a hand over the top of my brown hair. I’d decided to wear it back in a low bun, concerned about loose hairs falling into whatever we’d be cooking. The sun glinted off my peach colored lip gloss. Normally I wore lipstick, but I wanted the ability to easily wipe it off tonight. It was unappetizing to get red or pink smears on my food. The door opened, and a breath caught in my throat. Standing before us was a Greek God in loose navy pants and nothing else. His feet and chest were bare.